1. an act or instance of presenting something as a contribution. 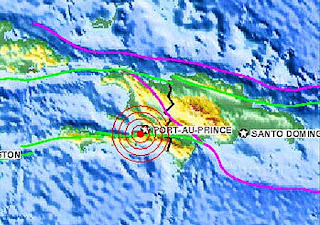 By now you are most likely aware of the massive 7.0 earthquake that hit Haiti on Tuesday just outside the country’s capital, Port-au-Prince. There is speculated to be over 100,000 people presumed dead and relief efforts from all over the world are flying into Haiti as we speak. You too can help. There are many donate by text options circulating around the internet, but only a few of those options are currently available to Canadians. 'HAITI' to 45678 and your $5 donation goes to the Salvation Army. ‘HELP’ to 1291 and your $5 donation goes to Partners In Health in Haiti care of The ONEXONE Foundation where 100 percent of the donations will go to the Haiti Relief Fund. Outside of customer donations Rogers Communications will also be donating $250,000 in funds and goods to Partners In Health. "We at Rogers extend our deepest sympathies to everyone affected by the earthquake in Haiti, and to Canadians who are concerned for their loved ones back home," said Edward Rogers, Deputy Chairman, Rogers Communications. "In support of Partners in Health and other relief organizations in Haiti, we encourage our customers to aid relief efforts via our text-to-donate campaign." Although not currently a donate-by-text option, if you also donate to World Vision Canada the Canadian government will match every dollar donated, (up to 50 million dollars) from now to February 12th, which is more bang for your buck. I thought this might interest you and your readers. Thank you for any coverage you can give.